Joseph Rotblat was awarded the Nobel Peace Prize in 1995 with the Pugwash Conferences on Science and World Affairs "for their efforts to diminish the part played by nuclear arms in international politics and, in the longer run, to eliminate such arms." He is known as the only scientist to leave the Manhattan Project for reasons of morality. Later, he founded the Pugwash Conferences and dedicated his career to advocate for peace and medical research in an attempt to use science for the good of humanity. November 4, 1908Birth, Warsaw (Poland). 1932Obtained MA in Physics, Free University of Poland (Wolna Wszechnica Polska), Warsaw (Poland). 1938Obtained Doctorate in Physics, University of Warsaw (Uniwersytet Warszawski), Warsaw (Poland). 1939Researcher and Director of Research in Nuclear Physics, University of Liverpool, Liverpool (England). 1944Relocates to New Mexico to collaborate with American and other British scientists on the Manhattan Project, Los Alamos (N.M.). 1944Leaves Manhattan Project for moral reasons upon learning that there was little danger of Nazi Germany developing their own atomic bomb. 1946Co-founded the Atomic Scientists Association of Britain. 1947Organized the "atom train," a travelling exhibit to educate the public on the benefits and risks of nuclear energy. 1950Obtained PhD in Physics, University of Liverpool, Liverpool (England). 1950 – 1975Professor of Physics; Chief Physicist; and Treasurer, St. Bartholomew’s Hospital Medical College, University of London, London (England). 1953Obtained DSc degree, University of London. 1957Organized the Pugwash Conferences of Science and World Affairs. 1960 – 1972Editor-in-Chief, Physics in Medicine and Biology. 1965Named Commander of the British Empire (CBE). 1966Foreign Member, Polish Academy of Sciences (Polska Akademia Nauk). 1971Honorary Member, and President, British Institute of Radiology. 1972Honorary Foreign Member, American Academy of Arts and Sciences. 1972 – 1975Member of Advisory Committee on Medical Research, World Health Organization. 1974 – 1976Vice-Dean, Faculty of Science, University of London. 1983Awarded the Bertrand Russell Society Award. 1987Named Commander, Order of Merit, Poland. 1988Foreign Member, Czechoslovak Academy of Sciences (Československá akademie věd). 1988Awarded the Gold Medal, Czechoslovak Academy of Sciences (Československá akademie věd). 1988President, Pugwash Conferences on Science and World Affairs. 1989Knight Commander's Cross, Order of Merit, Germany. 1989Awarded the Distinguished Citizen Award, International Physicians for the Prevention of Nuclear War. 1992Awarded the Albert Einstein Peace Prize. 1995Awarded the Nobel Peace Prize with the Pugwash Conferences "for their efforts to diminish the part played by nuclear arms in international politics and, in the longer run, to eliminate such arms". Collaborated on the Manhattan Project. Editor-in-Chief, Physics in Medicine and Biology Journal. Worked on Manhattan Project and left for moral reasons. Contributed to creation of the atomic bomb and left in 1944 for moral reasons. Founder; President; and shares 1995 Nobel Peace Prize Affairs "for their efforts to diminish the part played by nuclear arms in international politics and, in the longer run, to eliminate such arms." Researcher and Director of Research in Nuclear Physics, and received PhD in Physics (1950). Vice Dean, Faculty of Science; Professor of Physics; Chief Physicist; and Treasurer, St. Bartholomew's Hospital Medical College. Received DSc degree (1953). Awarded the Bertrand Russell Society Award (1983). Awarded the Albert Einstein Peace Prize (1992). Foreign Member, and awarded Gold Medal (1988). Awarded the Distinguished Citizen Award (1989). Obtained Doctorate in Physics (1938). Obtained MA degree in Physics (1932). Member on Advisory Committee on Medical Research. Oral history interview with Joseph Rotblat, 1992-1993. Lew Kowarski papers, 1907-1981 (bulk 1930-1981). Atoms and the universe :an account of modern views on the structure of matter and the universe/ by G.O. Jones, J. Rotblat, G.J. Whitrow ; with a prefatory note by Sir John Cockcroft. Eliminer les armes nucléaires : est-ce souhaitable ? est-ce réalisable ? : conférences Pugwash sur la science et les affaires mondiales, ... ; éd., Joseph Rotblat, Jack Steinberger er Bhalchandra Udgaonkar ; trad. française, Venance Journé, André L. Mechelynck. Nuclear weapons : the road to zero / edited by Joseph Rotblat ; executive editor, Frank Blackaby. Proceedings of the First Pugwash Conference on Science and World Affairs: Pugwash, Nova Scotia, Canada, 7-10 July 1957 / edited by Joseph Rotblat. Pugwash--the first ten years: history of the conferences of science and world affairs [by] J. Rotblat. Science and world affairs : history of the Pugwash Conferences. Atomic fragments: a daughter's questions/ Mary Palevsky. Atomic Heritage Foundation: Profile and Biography: Joseph Rotblat. Jewish Virtual Library Biography: Joseph Rotblat. Joseph Rotblat : visionary for peace / edited by Reiner Braun ... [et al.]. 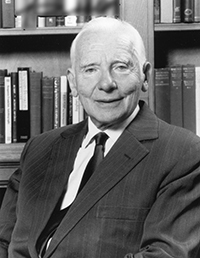 Joseph Rotblat Nobel Prize biography. Joseph Rotblat Physics Today obituary. Keeper of the nuclear conscience : the life and work of Joseph Rotblat / Andrew Brown. Peace Pledge Union Biography: Joseph Rotblat. Voices of the Manhattan Project Interview with Joseph Rotblat. Waging peace [videorecording]: the story of Joseph Rotblat and 50 years of the Pugwash Conferences on Science and World Affairs / a Hero's Stone Production in association with the Pugwash Conferences on Science and World Affairs.